A correctional facility with any gaps in its security strategy can be very dangerous for inmates, staff and visitors. To mitigate risk it is critical to define and maintain strict processes in managing personnel, physical assets and restricted areas. Maintaining the maximum level of prison security can only be achieved when these processes are automated and audited, which removes the chance of human error, and creates complete accountability. Below are two important aspects of prison security, and ways to maintain a secure environment for each. Without controlled restrictions in place, a prisoner, visitor or low-level staff member could gain access to off-limit areas, gaining access to weapons, drugs or other instruments that could put everyone in the facility at risk. 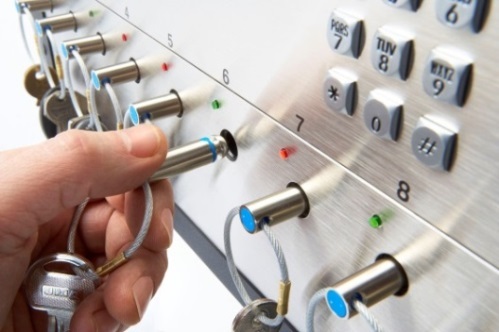 A strict key management system, like Traka’s intelligent key cabinets, can be implemented to automate strict daily operational procedures, and put greater visibility on all access to sensitive areas. An effective and efficient key management strategy put key sets exactly where there are needed most, while allowing centralized administration and reporting. Keys can be automatically allocated to authorized and authenticated staff based on strict permission criteria, such as time or even the status of other key sets. Through simple integration, the availability of key sets can be dependent on the current status of secured areas, or whether staff is equipped with the proper gear to enter a sensitive area of the facility. What makes the clever electronic keys a must-have for any prison? The iFob is the answer. This bullet-shaped device gets securely attached to each key set, and uniquely identifies it to the cabinet and administration software. This means that every interaction with that set of keys is recorded and reported, creating full visibility and greater accountability. Most prison staff have certain items they are required to carry throughout a shift, like radios and firearms, which cannot leave the premises. These items are dangerous and very costly, which makes secure storage and strict access control a top priority. Using an asset management system prevents inmates, visitors and employees from gaining access to equipment they shouldn’t be using. A member of prison staff identifies themselves by entering a PIN, swiping an access card or using biometrics. Once the software verifies the users’ identity, it will permit access to a predetermined locker within their level of access. This safeguards items that certain users shouldn’t have access to, and restricts non-employees from getting their hands on dangerous equipment. Beyond restricting access, software tools can be customized to create unique management solutions for administrators. For example, if an asset is not returned on time, a supervisor can be notified immediately and see who accessed it last. Integrated systems can even restrict badge or time card status, should the user still be in posession of protected items. This holds facility staff 100% accountable for the keys and equipment they are required to use during their shifts. 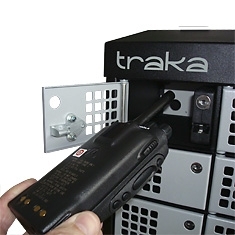 Traka provides advanced key management systems and electronic asset management lockers for prisons and detention centers around the globe. To learn more about our solutions, visit our products page or contact us today.